R3 works with a broad ecosystem of more than 200 members and partners across multiple industries from both the private and public sectors to develop on the Corda Platform. Get to know our ecosystem participants on Marketplace, a web platform that brings R3 members and partners together to discover solutions built on Corda. Membership offers collaboration with industry-leading organizations, including software firms, technology companies and the world’s leading financial institutions and insurance firms who have already joined R3 to support the development of the Corda platform. We recognize that a platform’s strength comes from a flourishing ecosystem of partners: developers, support providers, application builders, systems integrators, independent software vendors and various other participants. We provide our partners with the support and freedom needed to develop innovative interoperable applications on the Corda platform, known as CorDapps, that solve their customers’ specific challenges. Our partner network comprises a diverse array of companies across industries and regions. But each has a shared goal – to harness the power of the Corda platform’s unique take on blockchain technology to deliver distributed applications and services in new, more nimble ways that deliver lower costs, improved capital efficiency and new revenue opportunities to end users. 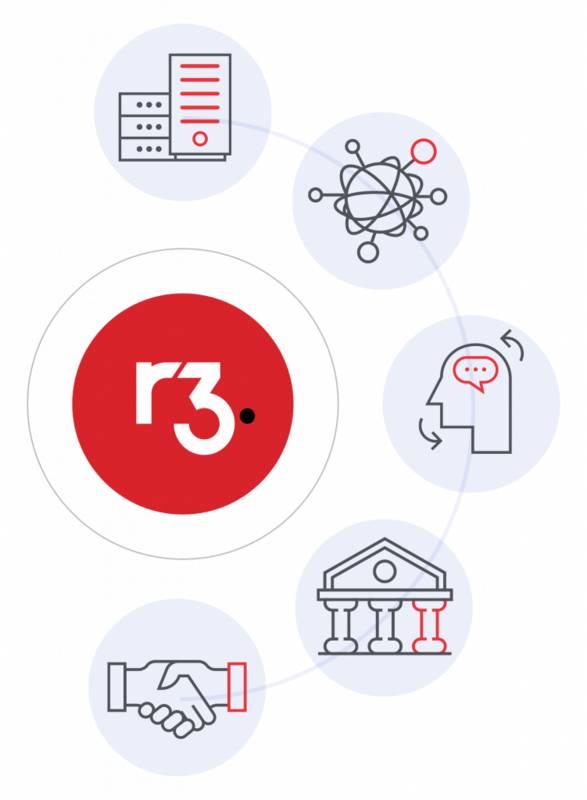 R3 has worked relentlessly to build a vibrant ecosystem that brings partners and members together with a shared focus on moving blockchain applications into commercial deployment and changing finance and commerce from within.